Kristy Mcnichol - Bio, Brother, Net Worth, Partner, Is She Gay, Where Is She Now? Kristy Mcnichol – Bio, Brother, Net Worth, Partner, Is She Gay, Where Is She Now? Kristy McNichol is an award-winning American actress, comedian, producer and singer who became famous in the 1980s. She is best known for her role as Barbara Weston on the sitcom Empty Nest and Letitia “Buddy” Lawrence on the television drama series Family. Her performance in the latter earned her two Emmy Awards for Outstanding Supporting Actress in a Drama Series (1977, 1979), a Golden Globe Award nomination for Best Actress – Television Series Drama and two Emmy Award nominations for Outstanding Lead Actress in a Drama Series and Outstanding Supporting Actress in a Drama Series. The actress also featured in other blockbuster movies including, but not limited to Only When I Laugh, Little Darlings, and Empty Nest. After more than 20 decades in the industry, Kristy decided to take a bow following her appearance in the 1998 series, Invasion America. Born as Christina Ann McNichol on September 11, 1962, in Los Angeles, California, the actress is the daughter of Carolyn McNichol and Jim McNichol. Her mother was Lebanese while her father was Irish. At the age of three, her parents got divorced and life became tough as her mother struggled to make ends meet, working lots of odd jobs. Her mother later remarried to Siegfried Lucas with whom she bore a daughter named Jeniffer Lucas. After they got married, Lucas adopted Kristy and her brothers and raised them as his own children. As a child, Kristy took interest in acting and started appearing in TV commercials at the age of six. She attended North Hollywood High School where she took part in different plays organized by the school. She landed her first television role as Patricia Apple in the TV series, Apple’s Way and later got her big break when she starred in the 1976 ABC series, Family. Kristy McNichol’s net worth is estimated to be $7 million which she made within her active years in the acting industry. She still has a few things going on but not in the entertainment sphere. The retired actress is also putting in a lot of her time to charity and giving back to the society. Her Partner, Is She Gay? For many years, Kristy was in the spotlight simply because of her excellent acting skills and being popular always comes with the public wanting to know everything about the person. For Kristy, everyone wanted to know for sure her sexual orientation, probably because she was never linked to anyone relationship-wise. After years of keeping her fans in the dark, Kristy finally broke the news during an interview in 2012. She revealed that she is a lesbian and has lived with her partner, Martie Allen, a well-known TV personality, for more than twenty years. According to the former actress, her decision to come out is in the hope that it may stop some children from being victims of homophobic bullying. 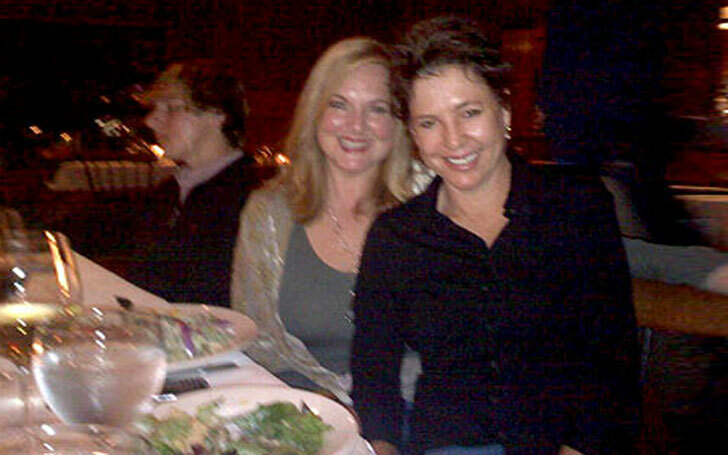 Kristy McNichol grew up alongside her three brothers – Thomas, Jimmy, and Tommy McNichol. Her older brother, Jimmy, was also an actor and a singer. He began his acting career in a Band-Aid commercial when he was just 7 years old and has managed to remain relevant in the industry till date. Between 1967–1973 Jimmy featured in not less than 80 commercials and also got small roles in shows such as S.W.A.T. and Little House on the Prairie. At the age of 12, he made his movie debut in the 1973 film, Sunshine and landed his first starring role on The Fitzpatricks, portraying the role of younger brother Jack. He played the role of Vince Butler in the teen drama series, California Fever, which was shown on CBS in 1979 and also sang the team song of the show. Before then, he recorded an album with his sister, Kristy. Jimmy later became the host of a weekly talk show, Hollywood Teen, after California Fever ended. He was cast in many television movies, including the 1980 film Blinded by the Light which he starred in alongside his sister Kristy. He produced a number of low budgets feature films and subsequently agreed to feature in the daytime TV medical drama, General Hospital, as Josh Clayton. Throughout the 1980s, Jimmy performed with a band using the name, Jimmy James. His latest acting role was in 2017, in the comedy web and television series Decker: Unsealed where he appeared in five episodes, portraying the Son of Dracula. After a 24 year long acting career, Kristy McNichol thought it was time to leave the scene so that she can play her biggest part, as she puts it, and that part is being herself. She announced her exit through her publicist in a statement released in June 2001. Acknowledging the disappointment of many of her fans over the fact that she would no longer act at the time of the announcement, Kristy said it was necessary and vital for her personal happiness and her well-being. Following her retirement, Kristy McNichol chose to give back to society by teaching acting at a private school in Los Angeles and giving much of her time to charity work.